2005 re-release by the Sound In Color label. Newly remastered, with two new beats added. For those who missed it the first time and the second time, with brand spankin new full-color jacket but the same fresh beats you've been craving. 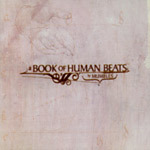 This is the instrumentals from Aceyalone and Mumbles' classic album, 'Book of Human Language'. Dopeness!